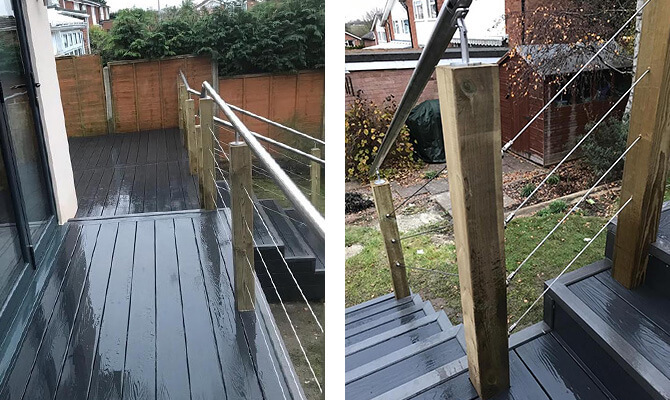 High quality raised decking balcony installation by UK Decking and Fencing, constructed using solid timber frame and posts, composite decking and beautifully finished off with our stainless steel wire balustrade and stainless steel handrail. 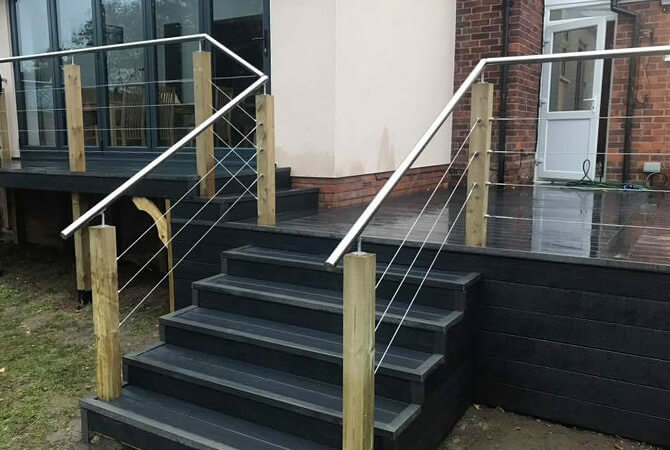 The combination of stainless steel handrail and correctly tensioned balustrade wires not only provide a safety feature but will help to add structural strength to the balcony balustrade. 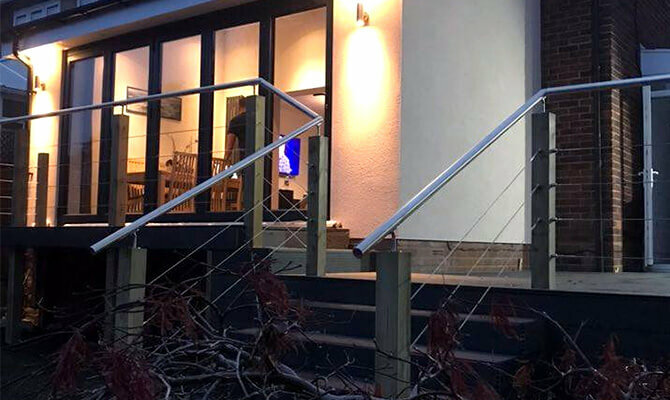 Our wire balustrade ball & socket joint is designed to allow for articulation of up to 42 degrees, ideal for inclines such as stairs. 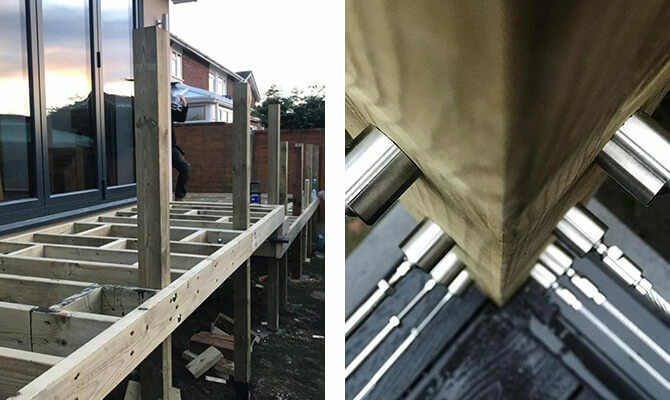 Stainless steel handrail and handrail supports have been mounted on to the top of the timber posts. 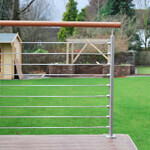 Flat mount wire balustrade hubs are ideal for direct mounting on to timber posts and structures. 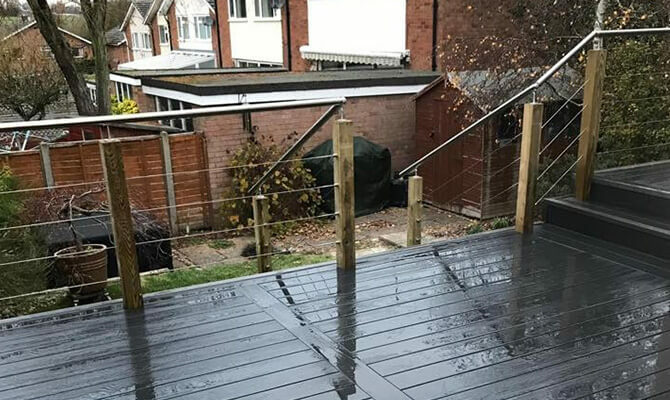 We really like the contrast between the the black composite decking and the stainless steel.